People on both sides of the Indo-Pak border have spent 72 years in strained ties. While the two countries celebrate their Independence Day just a day apart, different artists have come together to spread the message of peace. 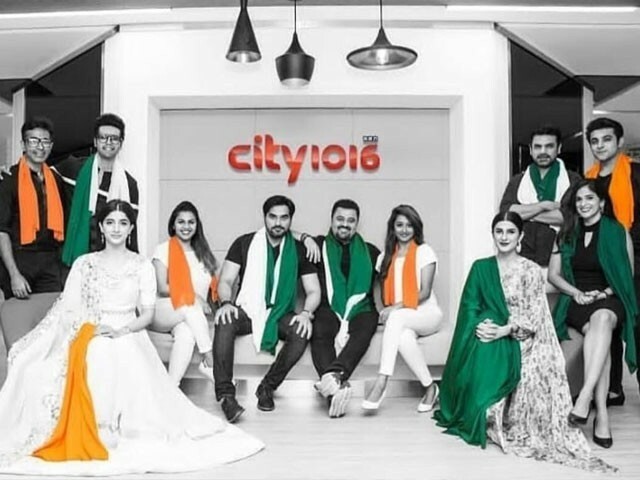 In a recent attempt to improve relations, the cast of Jawani Phir Nahi Ani 2 and a UAE based radio channel, City 1016 came together for a heartfelt picture, shared by the film’s leading lady, Mawra Hocane. “Here’s a little something we did to foster Love between India & Pakistan . A City 1016 & JPNA2 initiative for 14th & 15th of August! Happy Independence Day to my neighbours, May we all prosper hand in hand,” wrote the 25-year-old star, who marked her debut in Bollywood with the Harshvarden Rane-starrer Sanam Teri Kasam. And Twitterati is lauding this initiative. I must tell that there is love and harmony between these two countries but media and politian change project it differently. Wow… Sooo sweet of you and your team. Belated Happy Independence day to you all. That's a nice and surprising gesture. Hope we will prosper hand in hand. Lots of love from Indian friends.